Richard H. Schwartz, Ph.D., is the author of Who Stole My Religion? Revitalizing Judaism and Applying Jewish Values to Help Heal Our Imperiled Planet, Judaism and Vegetarianism, Judaism and Global Survival, and Mathematics and Global Survival and has over 200 articles and 25 podcasts at JewishVeg.org/schwartz. He is president emeritus of Jewish Veg and president of the Society of Ethical and Religious Vegetarians (SERV), a patron and president for the Americas of the International Jewish Vegetarian Society, and on the advisory committee of the Farm Animal Rights Movement (FARM). He is associate producer of the 2007 documentary “A Sacred Duty: Applying Jewish Values to Help Heal the World.” In 1987, he was selected as Jewish Vegetarian of the Year by JVNA, and in 2005, he was inaugurated into the North American Vegetarian Society’s Hall of Fame He is a professor emeritus of mathematics at the College of Staten Island, has been married since 1960 and has 3 children and 10 grandchildren. Caryn Hartglass: Hey, everybody. I’m Caryn Hartglass, and it’s time for It’s All About Food! Hi! How are you doing! Thank you for joining me, and let’s have some fun, and an informative time today, shall we? I’m so glad you’re listening in, and that you’re interested and concerned and want to do more for this home that we live on, Planet Earth. Because the only way change is going to be made is when each of us, each one of us, and that means you and you and you and you and you and you and you and you and you and you and me get together and make change. Now I just want to ask for a little pity in this moment, I lost my wallet! Can you believe it? How many of you have lost wallets out there? I’m sure we all have lost something precious, from time to time, but it’s, oh my goodness, it’s just, you just feel like you’re in No-Man’s land. I was traveling, and I was making sure I was so careful with everything that I had, and somehow, when I arrived at my destination, the wallet was gone with everything with it. The only good thing, and I am so grateful for this, and you know as I like to talk on this program, there are always things you can find to be grateful for. And that’s how you end up feeling good, no matter what the situation is. I had my driver’s license in my back pocket. So even though all the credit cards and a little bit of cash is gone, and I hope if you found my wallet you’re enjoying that cash and using it for something good, I did have my driver’s license, and it’s very easy to shut down all your credit cards and get them back, so, it was a little uncomfortable, I just thought I’d share that with you so you know that all kinds of interesting things happen to all of us. And anyway, I’m just recovering from that right now, and I’d thought I’d share it with somebody! So, let’s start talking about food, okay? And I want to bring on my first guest, who’s been on this program numerous times, and I am in awe of this person and all of the time he has invested in making this planet a great place, Richard H. Schwartz, PhD, is the author of Who Stole My Religion? Revitalizing Judaism and Applying Jewish Values to Help Heal Our Imperiled Planet, Judaism and Vegetarianism, and Judaism and Global Survival, and Mathematics and Global Survival, and he has 200 articles at jewishveg.com/schwartz. Richard, how are you today? Richard Schwartz: Okay, really great, thanks for having me on, sorry to hear about your wallet, and I hope you only have good news from now on! Caryn Hartglass: Well, thank you! I am going to close the window here, because there is a lot of excitement going on outside and I, and we don’t need to know about that. As I mentioned, I am just so in awe! You always have energy and enthusiasm, and are working towards the good fight, could you tell everybody how old you are? Richard Schwartz: Okay, yeah well I just turned 82 two weeks ago. Caryn Hartglass: 82! Can we all give you a round of applause? Caryn Hartglass: There is nothing stopping you. Richard Schwartz: But I was born at a very early age, and that’s sort of what helps. Caryn Hartglass: Well, here’s to another 82, and I hope during the next 82 years you really see some of the things that you’ve been working so hard for. Richard Schwartz: Thanks, and you should also be blessed that many more years for which you’re doing such wonderful work there as well. Caryn Hartglass: Thank you. Okay, so now let’s just get right to it. You wrote a book about four years ago, I think it was, Who Stole My Religion? Richard Schwartz: Yeah, yeah, the new edition is coming out hopefully next month. But this time we have a bigger publisher, and they are hoping to promote it not only in the US, but in Canada, the UK, Israel, Australia, and South Africa. It’s going to be a hardcover book, and I’m really hoping that it will do well because it is like a wakeup call to the fact that the world is headed towards a climate catastrophe, and Judaism has very powerful arguments that can help, and hopefully they’ll start to apply to even more than today. Caryn Hartglass: Yes, so I remember reading it. How did the new publisher find you, why did they want to publish this new revision? Richard Schwartz: I’m sorry, why would they want to publish it? Caryn Hartglass: Yeah! The new one that is coming out. Richard Schwartz: Well, again, I think they see the possibilities that this title in many areas, as you well know and I’m sure you’ve discussed this as an environmentalist and on many programs, the world’s head towards a climate catastrophe, and you see that so much, we have these super wildfires in Canada recently, torrential flooding in Houston, Texas, and it’s such a scientific consensus, as you know, something really amazing in a way, last December in Paris, major climate change conference, just about all the countries, 195 countries all getting together, how often do so many countries agree on anything, but they all agree that climate change is a major threat, and we’ve got to do everything possible about it. And, of course, one of the unique things I’m trying to bring in here is something overlooked and something that didn’t really get much attention at that very important Paris conference, as important as it was, and a great step forward as it is, that is that animal based agriculture is a major, major contributor to the emission of greenhouse gases. So that it looks like unless there is a major shift to the vegan diet that your program promotes well week after week, there is very little chance we can avert a climate catastrophe. So that’s why we’ve got to get that message out as effectively as possible, and as you mentioned in another book called Judaism and Vegetarianism, pointing out a very, very strong case that is for vegetarianism and even more so, veganism, in Jewish teachings. Caryn Hartglass: Okay, so let’s talk about applying Jewish values to help heal our planet. What’s the connection? And, you know, you’re going to tell us what the connection is, and not all Jewish people get that connection either. Richard Schwartz: Yeah. Well, one of the chapters I have asks the question, “Is Judaism a Radical Religion?” And I answer very affirmatively, treating radical in the best sense of the term. I mean, there are very powerful teachings that Judaism has, and the biblical prophets were one of the greatest champions of social justice, an example is Judaism teaches adults, justice, justice shall help soothe, in the psalms it says, “seek peace and pursue it”, the verse that occurs most often in the Jewish scriptures involves some variation of “Be kind to the stranger, for you were strangers in the land of Egypt”. So in the course of that, when the rabbi indicated it, Judaism has a special kind of justice that is called empathic justice, taking into account that stranger and other people and very powerful and again, a very strong case for vegetarianism because I try to point out, first of all, that actually, veganism is the ideal Jewish diet, because that was God’s first regimen, and the first ideal time that is in the Garden of Eden, and that’s right there in the very first chapter of the Torah, the Jewish scriptures, in chapter 1, verse 29 of Genesis, and then, that’s the beginning, and then in the end time, the ideal time, the Messianic period, that Jewish yearned for, that is again according to first chief rabbi, rabbi Abraham Isaac Ha-Cohen Kook, first chief rabbi of the pre-state of Israel, you know, another important Jewish scholar, that the Messianic period, the ideal time in the future will also be vegan, and he based that on the very powerful prophecy of Isaiah, that among other things the wolf will dwell with the lamb, the lion will eat straw with the the ox, no one shall hurt nor destroy, in all of God’s holy mountain, and I also based that strong case on six very powerful Jewish mandates, fundamental Jewish teachings, that we ought to preserve our health, treat animals with compassion, be coworkers with God in protecting the environment, conserve natural resources, help hungry people, and seek and pursue peace. So again, very powerful teachings, and it’s urgent that they be applied, and that’s what my book tries to do – a wakeup call, we don’t have to go to other religions, thank god we have, as many religions have as well, very powerful teachings on compassion and justice and peace and environmental sustainability and resource conservation, and with the world threatened, as arguably never before, it’s urgent that this become a priority. In the Jewish community, the beautiful Hebrew phrase Tikkun Olam it’s a healing, repair and covered transformation of the world, that has to become a central focus in all aspects of Judaism, and by example other religions as well. Caryn Hartglass: Well this is all beautiful, I don’t know who could argue with you about any of these premises, but ambiguous leaders are not promoting these. Do you have any idea of where the disconnect is? I’m always searching for why doesn’t anyone get it. But even though those that are on a path to follow the laws and the philosophy of the religion they don’t, they’ll even find reasons to eat meat. Richard Schwartz: Yeah, well, I’ve sure you’ve heard the saying that denial is not just a river in Egypt. Caryn Hartglass: (laughs) That’s my favorite. Richard Schwartz: Yeah, and it seems, unfortunately, most people are in effect rearranging the deck chairs on the Titanic as we head to the giant iceberg. Now, first of all I want to make it very clear that there are many who do get it. Many Jewish groups, there is the Coalition on Environmental and Jewish Life, there’s an orthodox group called Canfei Nesharim, an environmental group that’s trying to increase awareness of Jewish teachings on the environment, so there are definitely people and rabbis and they are doing things, but, far more must be done and so I’m hoping, and so that is why I really appreciate this opportunity to be on your program, and I’d like to urge everybody listening to really contact their rabbi, priest, minister, imam, any religious leader, because this is the existential threat to the US, any other country in the entire world to all life on the planet, again people must know, this past year, 2015, was the warmest year, breaking the record just set by the previous year, 2014, and 11 consecutive months up until this March, we don’t know yet about April, were record breaking months, in other words March 2015 is the warmest March since 1880 when temperature records were kept. And the 17 warmest years all have occurred since 1998. So we really are on a plateau, and there has been quite a lot of carbon dioxide in the atmosphere at record levels, above 400 parts per million of carbon dioxide, above the 350 parts per million carbon dioxide threshold that scientists think passed, and unfortunately, unfortunately, we are on a path towards possibly four, five degrees Celsius which will mean an almost unlivable world. So, this has to become a basic, basic facet of all aspects of life, and I’m trying to promote it, of course, in a Jewish community, but hopefully beyond that, because many blurbs and very positive comments I have got, some are from Christians and even some Muslims, so hopefully, it’ll have an impact. Richard Schwartz: Absolutely, and again, you remind me of the compassion every single day in the daily prayer services. The saying “Blessings in one God, whose compassion is all the Earth and all the creatures”, and one of the basic Jewish teachings is that we have to imitate God’s attributes of compassion and justice, it’s throughout the scriptures and all, and there are so many positive things about compassion and kindness, and environmental sustainability, and the fact that God’s compassion is there, and God is concerned, and therefore we have to imitate that and that should be fundamental, and that our resources are important, keeps people involved in religion, to be reminders, but the teachings about social justice, and working for a better world, and beating our swords into plowshares, and, by the way, it says in Genesis 2:15, right after some people say by the way, God said we have dominion and that gives us a license to do things, but the sages indicate dominion means responsible stewardship, and two proofs of that, are, they’re right after dominion in chapter 1 of Genesis, is that Genesis 1-29 I mentioned, which indicates God’s initial dietary regimen, strictly vegan, about the herbs and the roots, etc. and then in Genesis 2:15 it says, “What is the human purpose, God put the human being in the Garden of Eden to work the land, but also to guard it.” So we are to be guardians, guardians of the Earth, in imitating God. Caryn Hartglass: So, do you have any idea where we went wrong along the way? Because all these religions have these great ideas, and yet, the majority of the people I know that are religious don’t follow them to the letter. Richard Schwartz: Well, unfortunately, there’s a great emphasis on the ritual, again, very important, Judaism and the other religions involve laws between humans and God, very important, but also between humans and our fellow human beings. And, you know, as a matter of fact, in the Yom Kippur it says, “Forgiveness, forgiveness from God for sins against other persons, unless you first get forgiveness through that person. So, the human relations are super important, again, in all these teachings, but, unfortunately in the schools, they do a great job of teaching people how to pray, how to look up a text and interpret it, read the language, speak the language, all highly commendable but, by the way I have a chapter, again, again, it’s part of the subtitle, “Revitalizing Judaism” by saying we have to stress these important teachings on justice and peace, and passion and environmental sustainability, and also build them into our celebration of the holidays. Each of the holidays has a message like that, like Passover of course, a message of freedom. Then there’s Tu BiShvat, wonderful holiday, which is like a new year for the trees, or a Jewish Earth day. So, we have these messages, and by the way I’m trying to restore an ancient Jewish holiday, which was a new year for animals. Caryn Hartglass: I love that! Richard Schwartz: Because, as a model, there’s Tu BiShvat, the new year for the trees, and that sort of when the temple was destroyed there was no longer a need for it, but the catalyst of Shvat, very committed Jews restored that and made it into a year of planting of trees, eating fruits and completely vegan foods, and saying blessings, and that really, more and more popular as say, like a Jewish Earth day. And, the new year for animals, again, because of the end of the temple and no more animal sacrifices, thankfully, but now there’s still much emphasis on sacrifices, on what animals you can eat, permission was given, reluctantly to eat meat, and there’s not enough emphasis on Jewish powerful teachings on compassion to animals, so I would hope to restore that holiday as a way to greatly increase awareness of Jewish teachings on compassion to animals, and also increase awareness of how far the realities on factory farms and laboratories and other settings is, from Jewish beautiful teachings on compassion to animals. Caryn Hartglass: I’d vote for that to be a global holiday for all, not just a Jewish holiday. That sounds like a beautiful thing. Richard Schwartz: I agree 100 percent. Caryn Hartglass: Now, you’re 82, bless you, and how long ago did you become a vegan? Richard Schwartz: Well, actually I became a vegetarian first in about 1978, and a vegan I think around 2000. Caryn Hartglass: It’s been a long time. Richard Schwartz: Well, you know what they say. Vegetarians don’t live longer; it only seems that way. It’s a terrible joke, but I’ve been trying to get the word out on this because it’s so super important, because I’ve been arguing that a switch to vegetarianism and even veganism is a very important individual choice, but far, far more important it’s becoming a societal imperative. It’s really, it madness and sheer insanity. To give you couple of examples of why I say that, we know that the world is increasingly facing water shortages. Glaciers are melting, aquifers are shrinking, and yet a person on an animal-based diet requires thirteen or fourteen times more water than a person on a vegan diet. And, with an estimated 20 million people, mainly children dying of hunger and its effects every single year, it’s incredible, 70 percent of the grain produced in the US is fed to animals destined for slaughter. And making it even more insane is that we take very healthy foods like soy and corn and oats, feed them to animals, and we’re starting with a product that has no saturated fat or cholesterol, but with high complex carbohydrates and fiber, and we end up with meat that’s just the opposite, very high in unhealthy saturated fat and cholesterol, devoid of fiber and complex carbohydrates. So, it’s really madness here and sheer insanity, and doing this with of course, treating the animals so abominably on factory farms, and really putting the environment in great danger. Caryn Hartglass: Now, you’ve been an activist for decades and you continually have all this amazing energy and you just don’t stop. And many activists burn out after a while. So, what is your secret? How do you continue to be so energetic and optimistic, and how is it you just keep persisting? Richard Schwartz: Well, I guess the main thing is just to realize what the alternative is, that the future of humanity is at stake, thankfully I have some wonderful grandchildren, I want a decent world for them, and I’m just knowing that as I said, it’s just the madness, the sheer insanity of animal based diets, it’s so negative, it’s so irrational, and the arguments are so strong, and unfortunately, unfortunately it seems like every single day in the papers or on email you read an article saying like gosh, it’s even worse than I thought! Just today, I was reading an article about that tremendous wildfire in Canada. One of the articles, it said from a scale of one to ten, pollution is at 38, way off the chart. Another article says that because of sparks, this has the potential of creating other fires. And we know, by the way, because of these fires, well one of the articles said like ten percent of the amount of carbon that Canada normally puts into the atmosphere has just been put up there by this fire in two weeks. And we know that this is happening in some of the areas like California has really been hit. You know, they have heat waves, causing a drought, which cause a wildfire, and the governor saying that the wildfire season used to be a few months, now it’s almost all year round, and then when the rains do come they’re often very heavy causing mudslides, and this has made the current governor, Jerry Brown, make a statement like a summary statement of what the issues are, this statement is that humanity is on a collision course with nature. And unfortunately, somebody has said that nature always bats last, so again, this has to be fundamental, you cannot appeal to listeners and say, you all have your jobs, you have your families, you have limited time, but whatever you can do, try to get a program in your synagogue. Try to write letters to editors. Try to get your rabbi to speak, or your minister, or priest, etc., to speak out and speak to your fellow covenants, to your family, your neighbors, your friends, your coworkers, and let them know that they want a decent world for their children, grandchildren they may have in future generations. In general, this has to become a priority issue. Caryn Hartglass: Absolutely. Now, we just have a few minutes left, I want to talk about the beautiful happy side of choosing this lifestyle that you’re talking about, which is not exploiting animals by not eating them. Okay? So here you are. You’re 82 years old. How’s your health? Richard Schwartz: Well, thankfully, pretty good, and I tried waterobics, I use a stationary bicycle, try to work, my voice, I have to admit, is not as strong as it used to be, but, I try to hang in there and working out and planning a whole new life to make Aliyot, I have two daughters, and my wonderful family is in Israel, and I’m hoping to be very active there. For years I’ve been visiting them for various holidays, and a couple of times I’ve come longer for a celebration or a bat mitzvah, then I go on a speaking tour. Israel is way out on the forefront when it comes to veganism by the way. I’m hoping to build on that, and keep going because the time is short and the work is great, as Talmud tells us, and much to be done. Caryn Hartglass: Yeah. So, tell me, do you have a typical diet of food that you eat? Richard Schwartz: Okay, well, a lot of salads with hummus, a Middle Eastern dish, and we have a stir fry in our Sabbaths often, different quiches and things of that sort, but lots of salads and of course lots of fruits, a lot of oranges, tangerines, grapes, so we try to make fruit salads often, and as some of you know, so many more foods in the fruit and vegetable and grain kingdom than the animal kingdoms and also, twenty years, great food, very thankful every day that God spares me and gives me a chance to enjoy life and hopefully make a difference. Caryn Hartglass: Well yes, you definitely are. What is the release date for the new version of Who Stole My Religion? Richard Schwartz: Well, I’m hoping in June, it might be late June, for it to come out, and if anybody has any ideas for promoting it, possibly writing a review, blurb or something, please contact me at veggierich@gmail.com and also, you mentioned it before, the website jewishveg.com/Schwartz, I have 200+ articles and also the complete text of the third edition of my book, Judaism and Vegetarianism can be freely read at that website, as can another of my books, Judaism and Global Survival. So I hope people go there, take a look at the articles, and feel free to “steal” them, build on them, and promote them in other ways. Caryn Hartglass: Well thank you for putting this together and offering so much information for people to steal. To share. For free. That is a beautiful thing. Okay. Well thank you so much for joining me on It’s All About Food. But still, I can’t believe you are just the amazing activist that you are. Keep it up! Whoo! Go Richard Schwartz! Woohoo! Richard Schwartz: Thank you very much Caryn. Best of luck, best wishes. Caryn Hartglass: Okay. Thank you very much. Okay, we were listening to Dr. Richard Schwartz, the author of Who Stole My Religion: Revitalizing Judaism and Applying Jewish Values to Help Heal Our Imperiled Planet. And we need a lot of help and we need a lot of groups spreading this message and that’s why I like to check in on Richard Schwartz from time to time and see what he is doing in his community. It’s beautiful. Okay, let’s take a quick break and we’re going to back with my next guest, Tyler Pierce, the vegan cyclist. Many thanks, Caryn, for the opportunity to once again be on your wonderful program. You are a treasure and an inspiration to me and many others in the excellent work you have been doing for an environmentally sustainable world. I wish you much continued success. Re my book, “Who Stole My Religion? 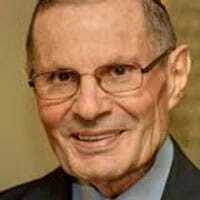 Revitalizing Judaism and Applying Jewish Values to Help Heal Our Imperiled Planet, discussed on the radio program, as indicated it is meant to be a wake-up call to, among other things, that the world is eading to a climate catastrphe and other environmental disasters and that a shift toward vegan diets is essential to efforts to avert that catastrophe. The book also stresses that Judaism has powerful teachings on peace, justice, environmental sustainability, and other isses that can help shift our imperiled planet onto a sustainable path. If you would like to help me promote the book, please contact me at veggie rich@gmail.com. Thanks.